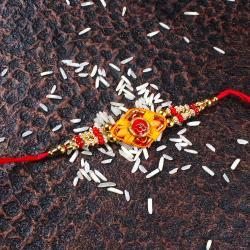 Traditional Diamond Rakhi along with Roli Chawal. 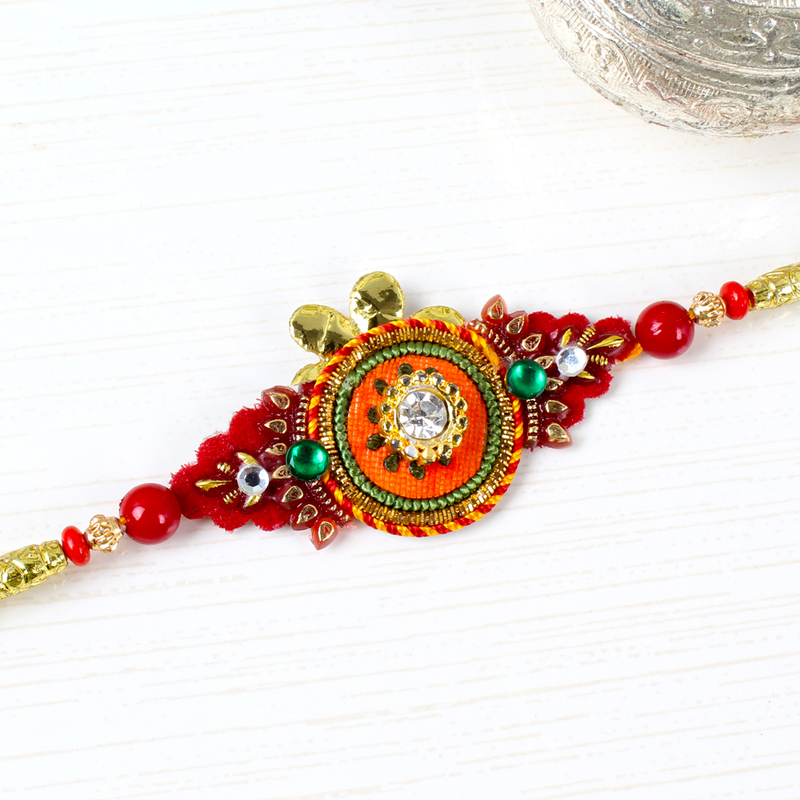 Beautifully designed Rakhi in multiple colors that will amaze your brother and also comes with the traditional Roli Chawal for company which all sisters want to serve their siblings on this auspicious day. 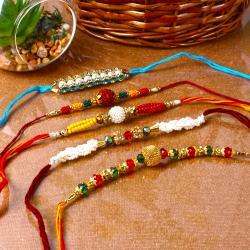 Raksha Bandhan is a lifetime occasion where sisters contrive to send their brothers tokens of their love and affection. 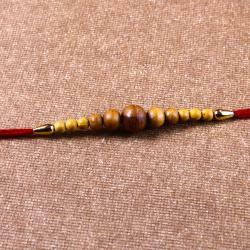 Rakhi is full traditionally decorated with diamond and beads for brother. The Rakhi will look amazing on your brother wrist courtesy its multiple hues and shades and its endearing design pattern, Roli Chawal plays the perfect foil to the same. 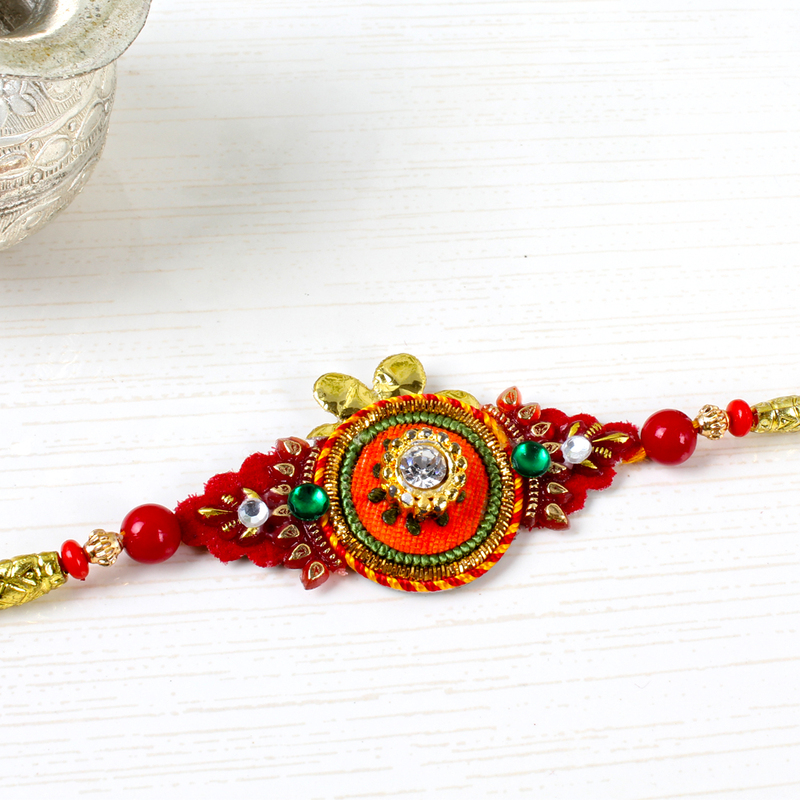 Every sister wants something symbolic to express her love and affection to her brother on Rakhi this makes for the perfect solution without a doubt. Product Includes : Traditional Diamond Rakhi and Roli Chawal.